Premium cement is a high quality bagged cement and is used in many applications where site-mixing is required. 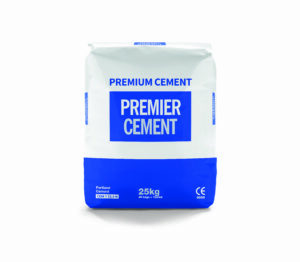 The quality of all bagged cement produced by the company is guaranteed to meet in full the requirements of British Standard BS EN 197-1 “Cement Part 1: Composition, Specifications and Conformity Criteria for Common Cements” and carries the CE mark. Premium Cement (bagged) is available from our terminals in Swansea and Ipswich. Premium Cement (bagged) is suitable for a wide range of applications such as general concreting, blocklaying and plastering applications. It is also used in grouting applications. Premium Cement (bagged) is suitable for use with a wide range of additives and admixtures.